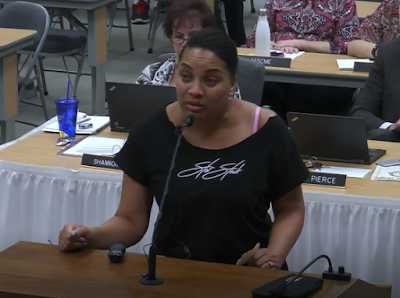 During their September 19, 2017, meeting, Elk Grove Unified School District Board of Trustees heard several speakers express concern about racism in the City of Elk Grove as well at district schools. One of the speakers was Sharie Wilson, an Elk Grove entrepreneur whose Old Town beauty salon was threatened and targeted by a racist letter left at the establishment. Ms. Wilson expressed frustration at the treatment her children had been subjected to at school and the district's lack of response, especially at Joseph Kerr Middle School. Below are the comments in their entirety.